A corner around the office. Always when we look at the north, there is Mt. Rokko and it makes ordinary corners bit special. When we travel around the countries, although we are architects, usually we do not set our destinations to some famous architectures but always just taking a walk around the city. In Japan, Europe or in Africa. Some people love some corners of some city like I love this corner in this picture. They would not be appeared in your guidebook but encounter just in a moment which some people never remember. We assume that the reason why we keep walking during the travel is to look for such corners which somebody loves. Attractive cities are always full of such corners. 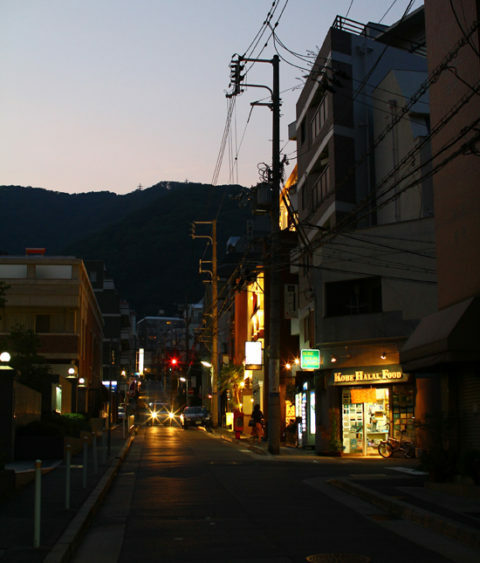 Photo: A corner of Nakayamate-dori, Kobe.